You know how the promise of summer feels: days are a little longer, the temperature slowly gets warmer, once every few days we have a teasingly perfect day followed by a colder one…It’s not long now before we can spend summer days on a beach or exploring new cities in floaty frocks and light fabrics. 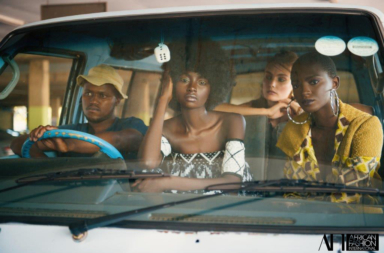 Sitting Pretty’s new spring/summer collection is a visual interpretation of these feelings; with garments named after beautiful holiday destinations. Although the collection has minimal monotone hues, there are pops of cobalt and red, and some luxurious and interesting fabrics. Staying true to Sitting Pretty’s environmental awareness, ethical trading and integrity, you’ll see a fair amount of linen, which is made from flax. Growing flax requires relatively less water, energy and pesticides than cotton: linen is more sustainable fibre than cotton. The Gili wrap dress and the Venezia trousers showcase how well linen works for summer. With fabric being an ongoing challenge, how does Emma approach the development of her collections? There has been a great response to Sitting Pretty’s accessories collection, and Emma loves to please her customers. In this collection, you’ll see some classic styles, and another version of her leather shoulder bag – including an option in hemp – as well as a basket bag which is essential for summer. Sitting Pretty will be introducing more styles to its online store and stockists as they are ready. Keep a look out and follow Sitting Pretty on instagram @sittingprettySA. If you’re in the Johannesburg area, Sitting Pretty and a selection of other locally and ethically produced brands will be at The Ethical Market (THEM) from 25 to 29 October. Upstairs @ Bamboo Centre, Melville.